We propose automated techniques for the verification and control of probabilistic real-time systems that are only partially observable. 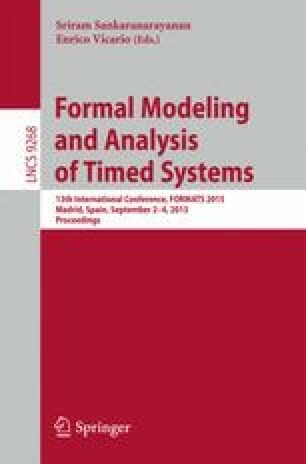 To formally model such systems, we define an extension of probabilistic timed automata in which local states are partially visible to an observer or controller. We give a probabilistic temporal logic that can express a range of quantitative properties of these models, relating to the probability of an event’s occurrence or the expected value of a reward measure. We then propose techniques to either verify that such a property holds or to synthesise a controller for the model which makes it true. Our approach is based on an integer discretisation of the model’s dense-time behaviour and a grid-based abstraction of the uncountable belief space induced by partial observability. The latter is necessarily approximate since the underlying problem is undecidable, however we show how both lower and upper bounds on numerical results can be generated. We illustrate the effectiveness of the approach by implementing it in the PRISM model checker and applying it to several case studies, from the domains of computer security and task scheduling.